and demand an end to the US/UN occupation. Sunday November 18, 2018, was the 215th anniversary of the victory at the battle of Vertieres when Haitians won a decisive battle against French forces in 1803, leading to the declaration of Haitian independence. 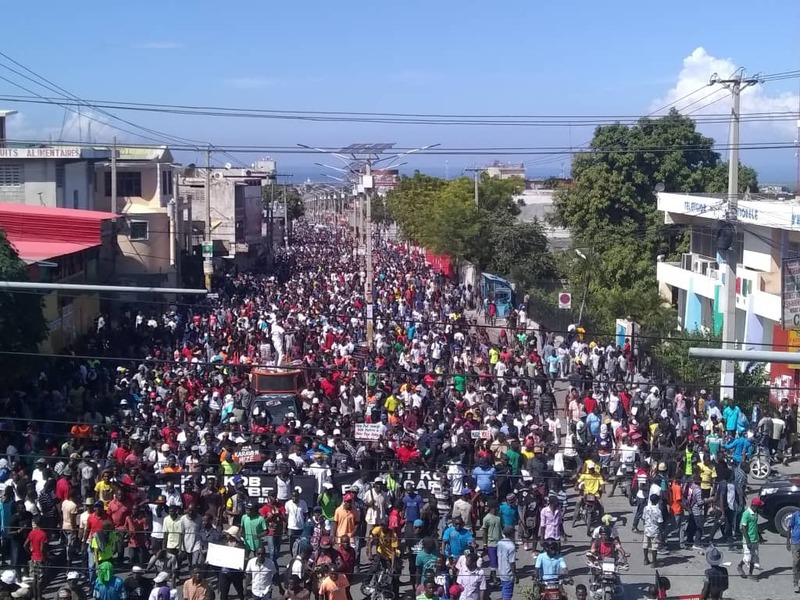 People all over Haiti marked the occasion with massive protests against the theft of billions of dollars of Petrocaribe funds provided to the Haitian government by Venezuela. 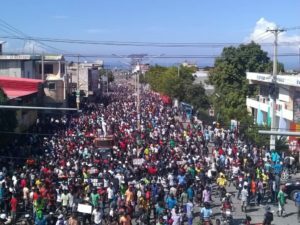 The demonstrators continued their call for the end to the murderous UN/US occupation and the imposed, illegitimate government of president Jovenel Moise and prime minister Jean-Henri Ceant. According to radio and witness reports the police have been shooting at unarmed protestors, wounding and killing an undetermined number. 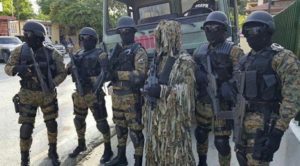 The situation on the ground in Haiti has been worsening as the Moise regime, backed by the U.S. and the UN, has ramped up a savage campaign of repression against the population. In the Port-au-Prince area alone, the list of attacks includes the police killing of a student leader on 10/31/18, the shootings during the week of 11/5/18 of teachers and high school students in Site Soley (Cite Soleil) protesting months of non-payment of overdue salaries and the lack of educational supplies, the mass killings and land-grab expulsion in Kanaan (Canaan) and the massacres on November 13 and 17, 2018 in the community of Lasalin (La Saline). Please read the Fanmi Lavalas statement condemning the 11/13 horrible massacre in Lasalin which occurred during the commemoration of another government organized massacre in Granravin (Grand Ravine) on 11/13/17, one year ago to the day. The statement in Kreyol https://tinyurl.com/ydg87mh8 can also be heard over a graphic video from Haitiinfoproj showing some of the victims. The death toll varies as reports from witnesses are being assessed; many were disappeared, bodies were also reportedly burned and trucked away. We support and stand in solidarity with our sisters and brothers in Haiti as they refuse to accept dictatorship and terror. Support and stand in solidarity with our sisters and brothers on the ground in Haiti! 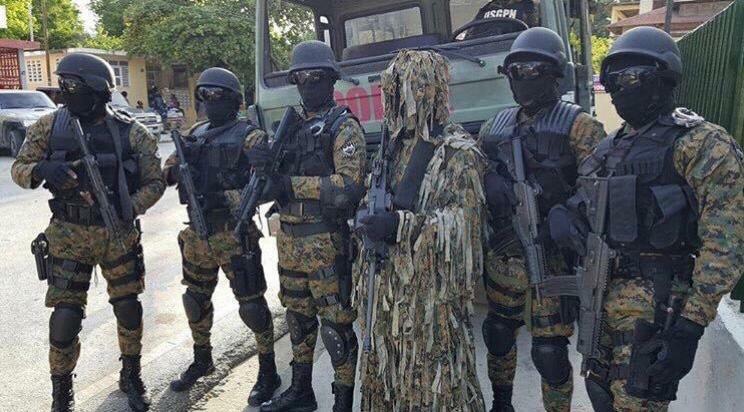 They are unarmed and bravely taking on the US/UN-supported killers, the UN-trained police and their paramilitary attaches or affiliates.